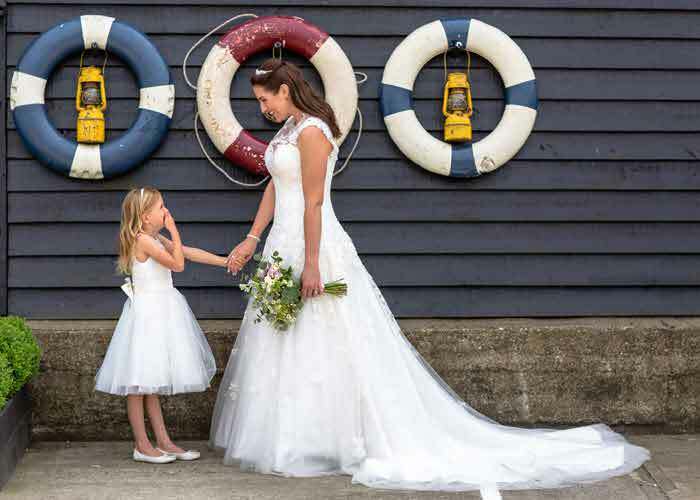 Photographer Simon Morris takes us behind the scenes of this Kent-based photo shoot which offers vintage wedding inspiration aplenty. Having moved to Faversham just over a year ago I am still in love with everything about this amazing Kent market town, with the many stores, crafts and community. Upon visiting Antiques on the Mall which is an amazing antique centre in Faversham, I was immediately struck by each area’s layout. 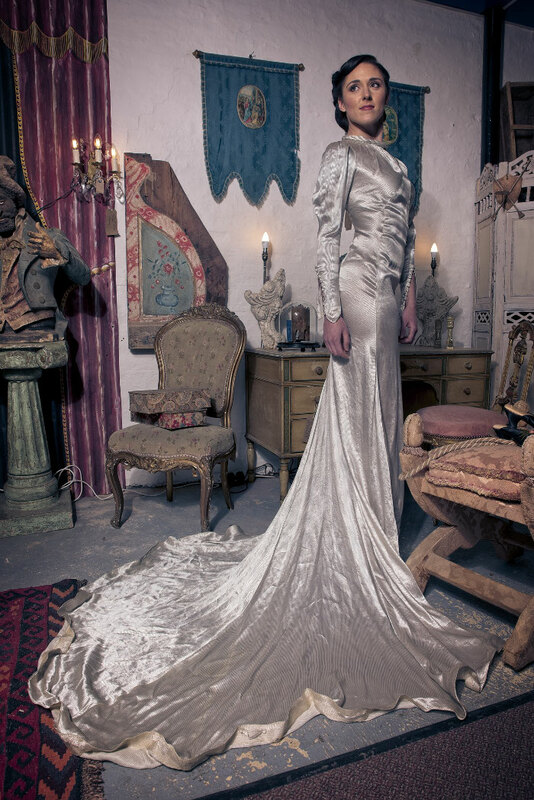 I asked about the possibility of collaborating on a wedding dress shoot and thanks to Sophie Norton at Antiques of the Mall and Paul at Ménage à Bois Antique Restoration, we made it happen. Utilising antiques as a starting point, I then looked for a wedding dress designer based in Kent whose style would complement the look. 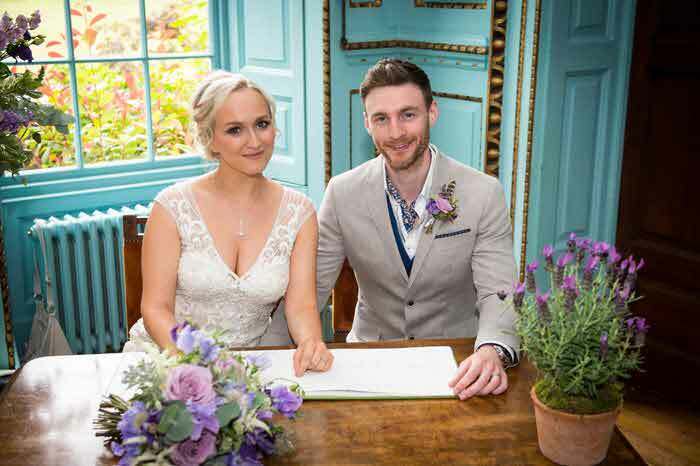 Designer Phiney Edmunson of Poppy Perspective handmakes one-off, boho and vintage-inspired wedding dresses in Ramsgate; she was perfect. 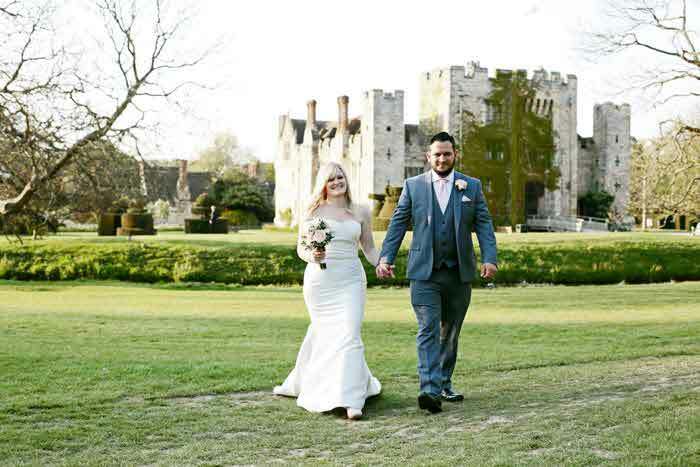 I also contacted Diane Hassall, a designer of wedding shoes, who supplied the shoes for this shoot that complemented the looks perfectly. Models Rebecca Hawkins and Dani Kerr were both beautiful and elegant. What kind of look did you want to achieve with the make-up and hair? 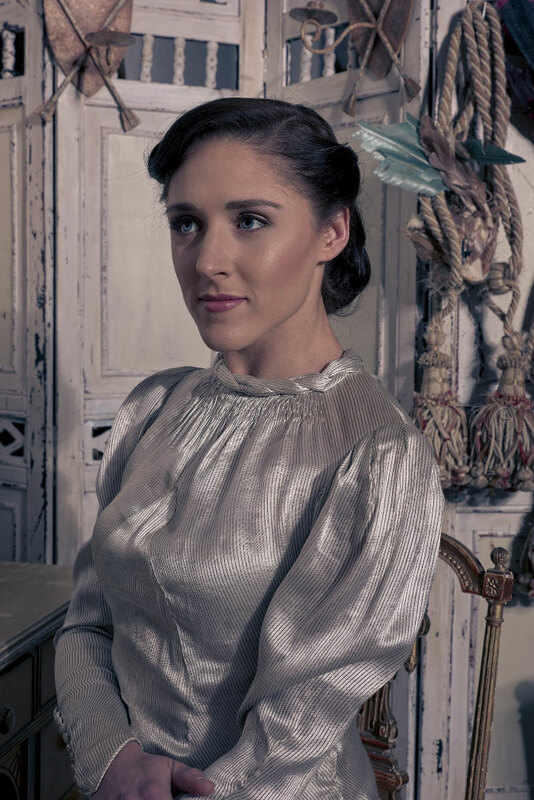 As the set for the photo shoot was in an antique centre with boho-vintage inspired wedding dresses, Kirsten Hair and Makeup followed the theme by creating vintage hair and make-up looks. 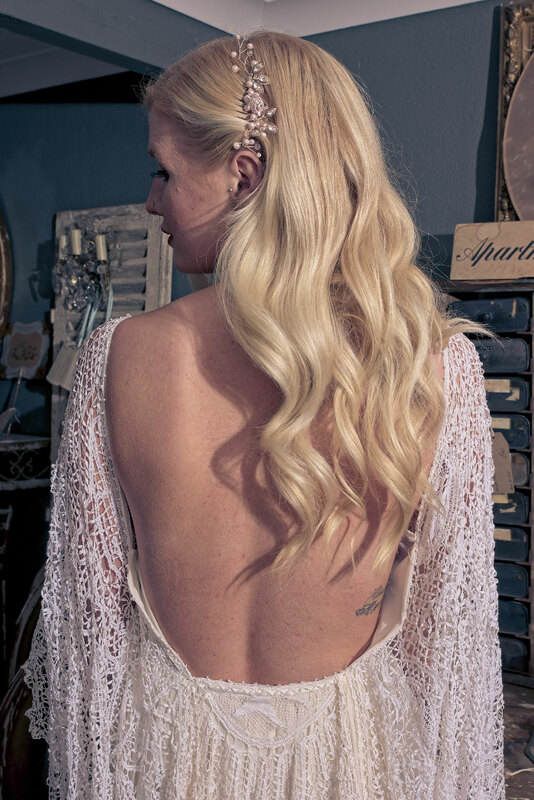 For Dani's long blonde hair, she created soft waves from the '50s and for Rebecca, a '40s inspired up-do suited her perfectly. 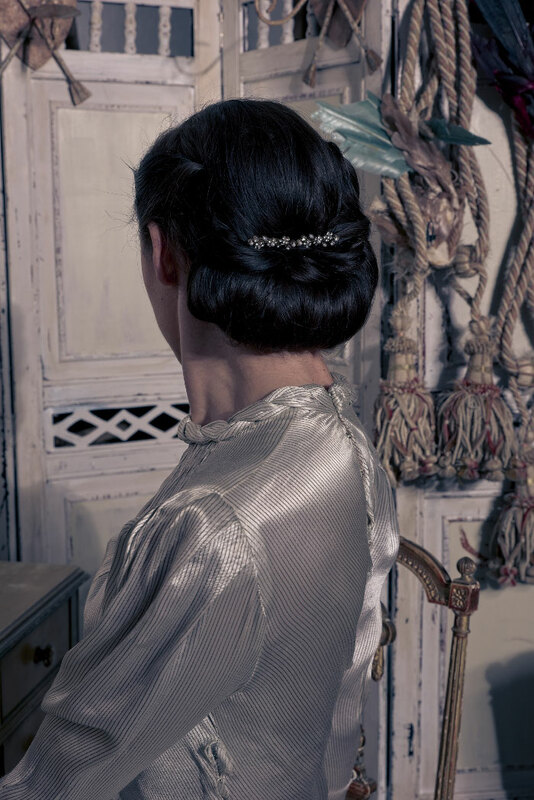 Kirsten used a rose gold beaded hair slide from Claire's Accessories for Dani and a hair comb from Accessorize to finish Rebecca's look. 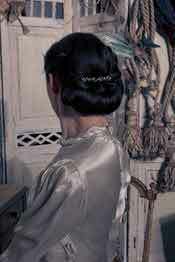 Bridal hair accessories need not be expensive and sometimes you can find a gem on the high street. 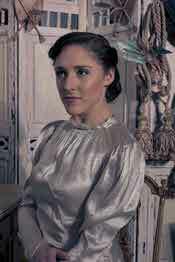 For the make-up, Kirsten created flawless skin with a flick of eyeliner. Kirsten decided not to go for the typical red lips to show that a vintage style can still be achieved with other coloured lipsticks. 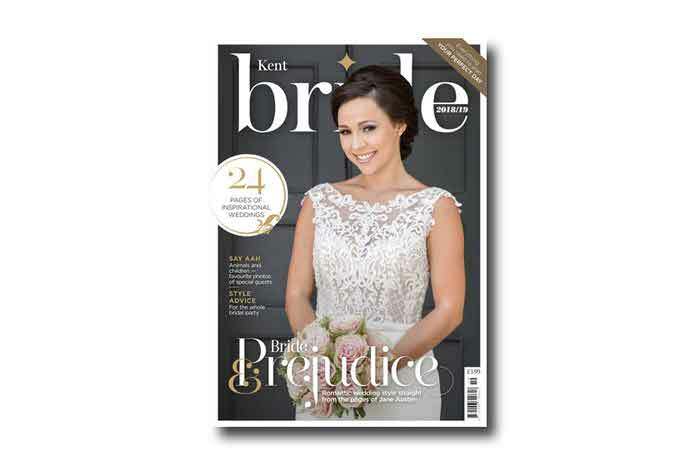 For more Kent wedding inspiration, pick up the latest edition of Kent Bride magazine.